The Minnesota State Fair will come to a close today. No need to go into withdrawals. 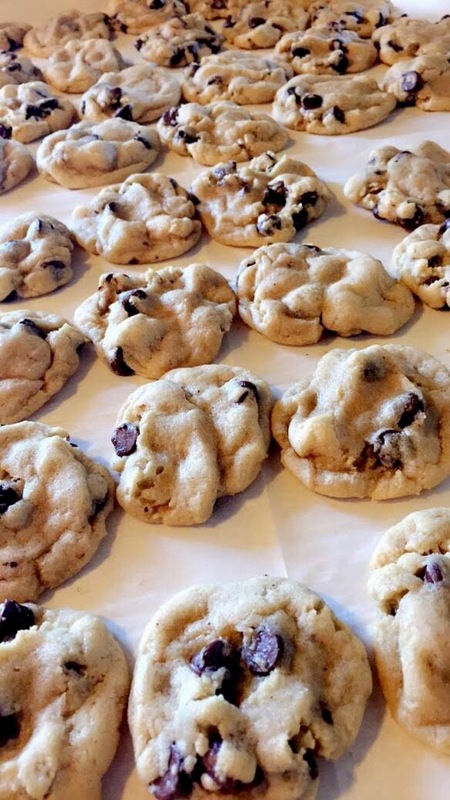 I’ve got the best copycat recipe of Sweet Martha’s Famous Chocolate Chip Cookies so far! 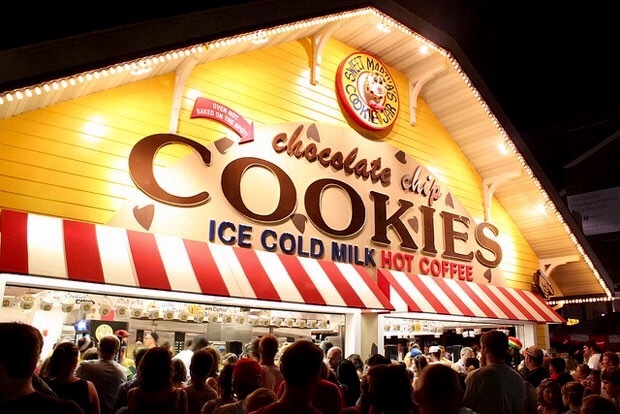 The Sweet Martha’s Chocolate Chip Cookies is the most profitable food vendor at Fair. In 2016, they raked in about $3 million dollars in 12 days. Crazy!!! I’m excited we don’t have wait till next year to eat them anymore. The secret of this recipe is extra butter, cake flour and extra egg yolks. You won’t be disappointed. Absolutely delicious! In a large bowl combine the cake flour, white all-purpose flour, baking soda, baking powder and salt. Use a wire whisk to “sift” together the ingredients. In a separate large bowl combine the soft unsalted butter, light brown sugar and white sugar until light and fluffy. Add in the egg and egg yolks one at a time, beating well after each addition. Stir in the pure vanilla extract. Next, add in the dry ingredients a little at a time being careful not to overmix the dough. Gently fold in the semi-sweet chocolate chips. Wrap bowl in plastic wrap and refrigerate for 2 days. When ready to bake, preheat oven to 350 degrees F. Line several large baking sheets with parchment paper. Place the dough in teaspoon size amount balls onto the prepared baking sheets. Lightly press down on each cookie. Bake one sheet at a time, in preheated oven, for exactly 10 minutes. DO NOT over bake! These will appear “underdone” but they are not! Allow them to cool slightly before enjoying.